Application: Open Offices, Exhibition Centers, Showrooms, Auditorium, Lecture Halls, etc. our organization also specializes in providing our clients with false flooring services of optimum quality. We engage in providing and fixing false floorings in computer labs, offices, main halls, electrical db rooms & server rooms among others. These false flooring definitely bring about a fresh, new, attractive, durable and long lasting looks in the offices home or a particular room. Leveraging on our quality oriented professionals, we are offering False Flooring to our clients. 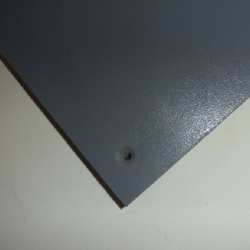 • Panel core Cement construction top and bottom plate spot welded. • Bottom plate, Embossed with 64 cups. • Top finish high-pressure conductive laminate. 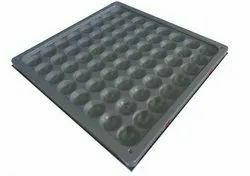 We are offering a quality tested array of Bare Panel. These products are available in various sizes and specifications. We offer an extensive range of Bare Panel that ensures easy installation. Price varies from Rs 180/- to Rs 350/- per squarefeet , based on the specifications of the products.